Amyotrophic lateral sclerosis, better known as ALS or Lou Gehrig’s disease, is a motor neuron disease that causes degeneration throughout the brain and spinal cord, and affects about 30,000 people in the United States. While there is no cure, there are strategies to both lengthen and improve quality of life. 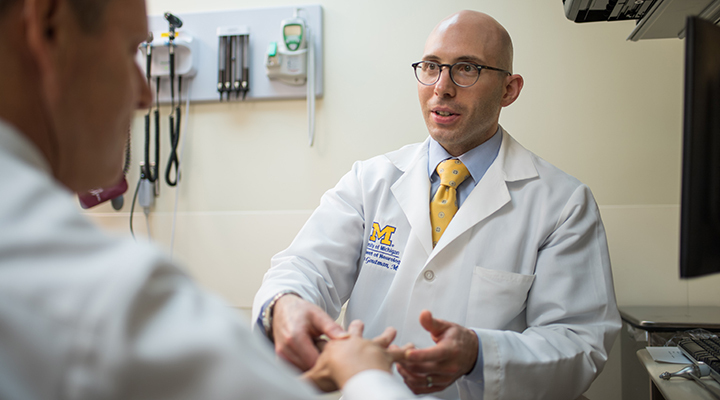 At the University of Michigan’s ALS Clinic, we provide expert diagnostic services, comprehensive treatment and compassionate, supportive care throughout the entire disease course of ALS. 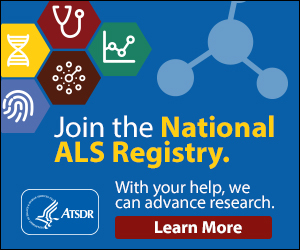 We assess ALS with a thorough patient history and neurological examination. The exam includes assessing muscle atrophy, strength and reflexes. We also rule out other diseases that mimic ALS. Diagnostic testing includes MRI and EMG (electromyogram), which localizes the source of the trouble. Medication taken twice a day. Non-invasive ventilation: a therapy involving wearing a mask over the nose to take deep breaths with less effort, using a portable machine. Can be used intermittently. Diet and nutritional therapy, to prevent weight loss, and in some cases, increase weight.